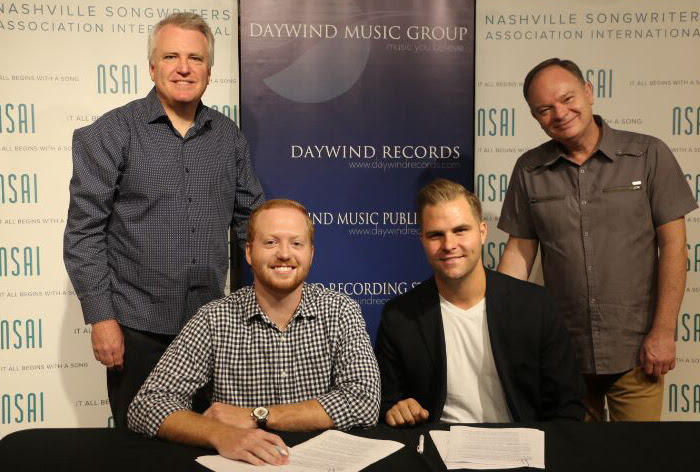 Nashville, TN (September 6th, 2017) – Daywind Music Publishing is pleased to announce the addition of songwriter Hunter Leath to its award-winning family of writers. Inspired by a vast variety of music, Hunter Leath began his songwriting career at a young age in the suburbs of Memphis. He dedicated himself to studying the writing styles of some of the top talents in music, from Don Henley and Phil Vassar to Mac McAnally and Billy Joel, in order to develop a style that tastefully blends pop, country, and acoustic music. This unique combination of styles creates music that appeal to a broad audience, and reaches past the confines of traditional genres. With this goal in mind, Hunter’s primary focus will be creating songs that will open doors within mainstream country music, while also expanding Daywind Music’s reach within Christian music. Daywind Music Publishing services an impressive roster of acclaimed songwriters including Lee Black, Matthew Browder, Jason Clark, Jason Cox, Gerald Crabb, Aaron & Amanda Crabb, Adam Crabb, Janice Crow, Chris Cron, Dustin Fenison, Michael Fordinal, Ricky Free, Marty Fundeburk, Karen Peck Gooch, Joseph Habedank, Justin Kintzel, Tim Lovelace, Devin McGlamery, Josiah Prince, Kyla Rowland, John Darin Rowsey, Brandon Sharp, Belinda Smith, Sue Smith, Aaron Wilburn and Dianne Wilkinson.